How Much Compensation Can I Claim For An Abdominal Injury? If you have suffered an abdominal injury, such as damage to an internal organ or the soft tissue of the abdomen, you may be entitled to claim compensation for your abdominal injury. These claims can arise from a variety of different causes and injury types. The most common cause of abdominal injuries is blunt force trauma. However, organs can be damaged as a result of a surgical error. Courts have long recognised the impact on a victim’s life the effects of damage to one or more internal organs can have. Any (potentially lengthy) recovery period will be factored into the amount of compensation awarded. Abdominal injuries can be complex, affecting multiple organs and/or the surrounding soft tissues. Some internal organs can be damaged easily via penetration or blunt force trauma. However, when symptoms are not immediately apparent, it can take time to get the right diagnosis. This delay can lead to complications and further internal damage whilst the problem is being discovered. As such, getting a comprehensive diagnosis and abdominal injury assessment is your number one priority after an abdominal injury. Expert medical reports will also add weight to your case. The amount which you can claim for an abdominal injury will vary, depending on the organ or organs affected and the severity of the injury. It will also be affected by the overall long-term prognosis. Below is a guide to previous compensation awards. Scarring to parts of the body Moderate £5,950 - £17,275 Noticeable singular or multiple scars and lacerations to the body. Scarring Moderate £1,800 - £5.950 Noticeable single scar or several superficial scars leaving some cosmetic damage. Bowels Severe £33,900 - £53,000 Leading to the impairment of function. More serious cases necessitating temporary colostomy and dietary restrictions. Bowels Moderate £9,575 - £18,600 A penetrating injury which causes some lasting damage. However, there is a return to natural function and control in the future. Bladder Severe Up to £107,000 Complete loss of control and function inthe bladder. Blader/ Bowels. Severe Up to £140,000 Double incontinence and total loss of bowel function. Damage to the spleen Severe £15,800 - £20,000 Loss of the spleen and damage or disorder to the immune system. Hernia Moderate £11,300 - £18,375 Continuing pain and a limit on physical activity. Please note, these figures are provided as an example. Actual compensation amounts may vary. 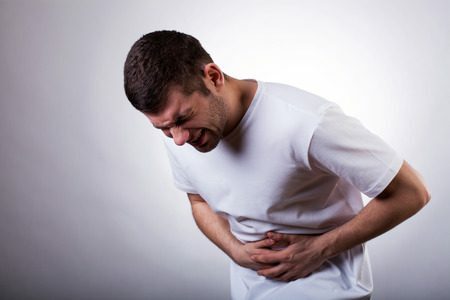 Food poisoning: This is the most common type of abdominal injury. There are thousands of cases of food poisoning across the UK every year. Often food poisoning is caused by bacteria in food which has been stored or cooked improperly, or when restaurant staff have poor hygiene. Kidney damage: The kidney removes toxins from your body. If they experience trauma, are affected by a disease or exposed to certain chemical pollutants their function can be impaired. Stab wounds: These can be caused by objects piercing or stabbing the abdomen, severely injuring the internal organs. Such injuries can be life-threatening and life-changing. Victims can have to change their diet and lifestyle after this. There are many types of injuries to internal organs which can happen in the workplace. Certain industries, such as manufacturing or building and construction have particularly high risks. Major incidents which can cause organ damage include forklift crush injuries and those caused by a fall or moving object. Road traffic accidents are one of the single largest causes of injury to internal organs. These can affect drivers, passengers and pedestrians. Blunt force trauma injuries can be caused by impacts with a steering wheel or the seatbelt. People can also suffer crush injuries and wounds from glass, metal or other injuries caused by sharp objects. Even if you do not know the identity of your assailant, you can still make a claim through the Criminal Injuries Compensation Authority, or the CICA. No win no fee agreements are also known as conditional fee agreements, or CFA’s. They are a type of contract between the person making the claim, and their solicitor. The no win, no fee agreement means that in the event of an unsuccessful claim, you will not need to pay a single penny. They also detail any charges you will have to pay if you are successful and how they will be paid. This helps to ensure that there are never any surprises. At Legal Expert, we have no extra fees or hidden costs. Following an abdominal injury or illness which was not your fault, you could be entitled to compensation. At Legal Expert, we can provide all the expert advice and help that you need. You can contact Legal Expert by calling us on 0800 073 8804 today. Send details of your claim and request a call back using our online chat feature or by sending an email. Information from the Health and Safety Executive about correct health and safety training processes. Find out how to make a successful abdominal injury compensation claim following an accident at work with Legal Expert.